I feel like just about every blogger I talk to wants to transform their side-hustle blog into a full-time business. I was one of those people too just a few months ago. I so desperately wanted to break away from my 9 to 5 and work for myself. I dreamed of the days when I was my own boss. Most people think that being a full-time blogger is a dream job. And in my mind it is! But there is a lot of behind-the-scenes work that isn’t taken into consideration. And before you know it, you could be in over your head with trying to manage everything. 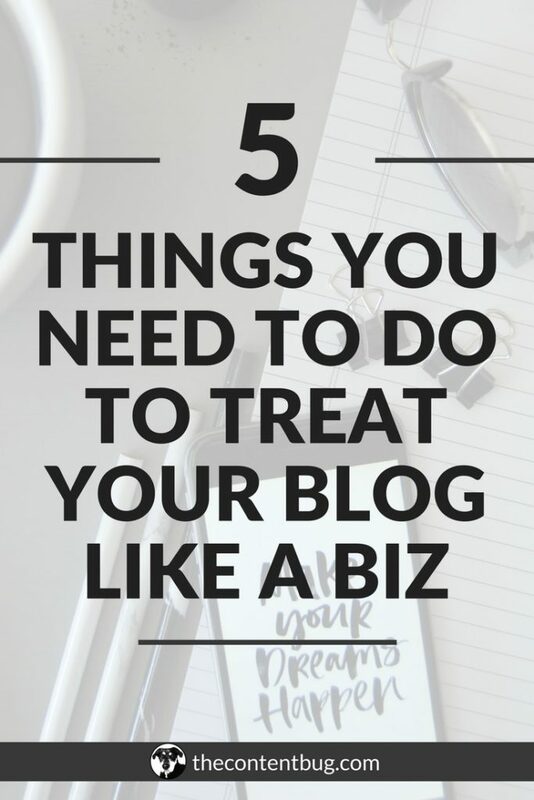 So today I want to break down 5 things you need to do to treat your blog like a business. When I was creating this list, I honestly debated what were the things that I did that made a real difference in my blog business. What were the things that made me feel like a real business owner? And what were the things that made the largest impact on being able to actually transform my side-hustle into a full-time business? I feel like I talk about this all the darn time. But it’s so incredibly important! “A goal without a plan is just a wish”. It 100% is. If you are setting goals for your blog (which you should be), then you need to have a plan in place to help you achieve those goals. And it all starts by being specific with your goals. Think about attaching numerical values and end dates to things. Don’t just say that you want to be a millionaire. Instead, say that you have to have 1 million dollars in your bank account by 2020. Once you’ve got your goals in place, then you need to break it into small achievable projects. And every day work on those projects to make sure that you achieve your goals! 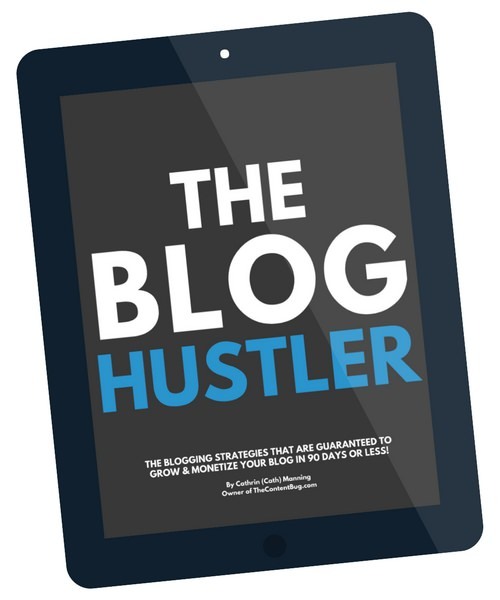 If you need a guide on how to create a plan that will lead you to success, my ebook The Blog Hustler is the answer to all of your problems. Trust me. This is something that I pushed off for a long time. Since my boyfriend was an accountant, and still works in the finance world, I looked to him for advice. I would keep track of all my income and expenses. I would save receipts and highlight transactions that were relevant. But by the time it came to do my taxes in 2018, I thought I was prepared… but I wasn’t. Alex wasn’t too happy with my ‘not so professional’ records. Although I did have everything I needed, my expenses weren’t broken into categories. And it got a little complicated to figure out what money went where. So after sorting things out, Alex and I got myself hooked up with QuickBooks. Now I have a system in place that helps me to monitor where my money is coming from and where it’s going. It categorizes ever business transaction I make. And when it comes time for tax session, it’s going to be much easier this time around. So if you aren’t an account, and you don’t want to pay for one, then you need to get quickbooks ASAP! As a blogger, you have to be on social media. You already know that. But the thing is, you have to make your social media professional. No longer personal. That means switching your account from a personal account to a business account. Stop sharing pictures of you partying, drinking, or doing anything else inappropriate. And start sharing content that will relate, engage, and benefit your audience. When I started my Instagram account for TCB, I knew that I wanted to create a new Instagram account instead of converting my personal account into a blog account. With my personal Instagram account, I had pictures that were personal to me. I had images from my college days. I had pictures of me in bikinis. Heck, I even had pictures of me at bars. I didn’t want my followers to see those pictures because it wouldn’t make me look professional! So I decided to create a brand new account for TCB so I could start fresh. But when it came to my Pinterest account, I decided to transition my personal account that I’d been using for 6+ years into my business account. And since I did that, I decided to completely purge my Pinterest account and remove anything that wasn’t related to my blog. If you decided to create a new social media account for your blog biz, that’s great. 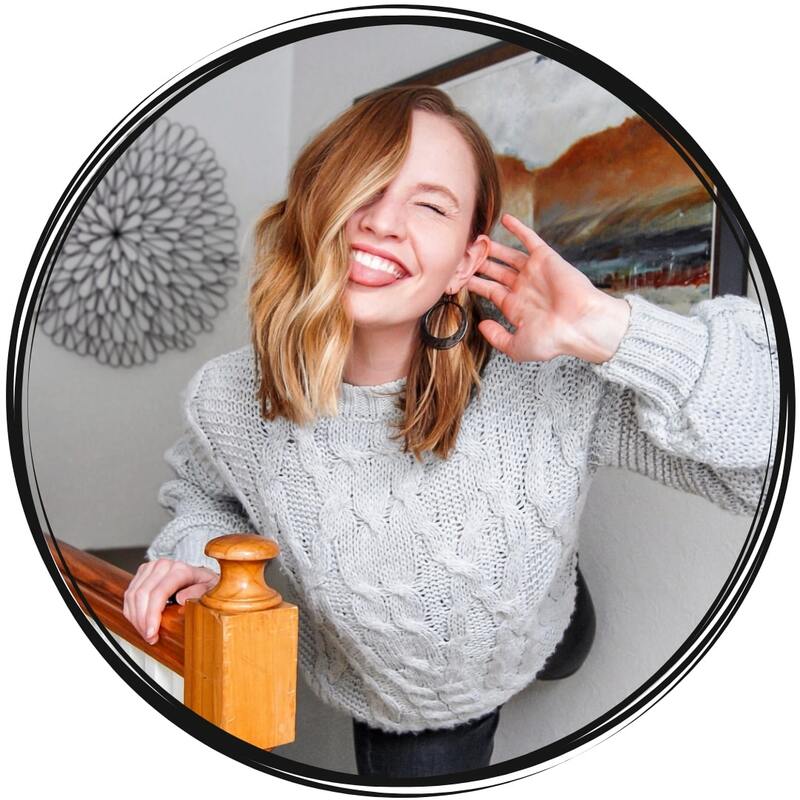 If you decided to transition your existing personal account into your blog biz profile, that’s great. You just need to take into consideration what is relevant to your audience and your blog. Every piece of content you share is a reflection of you. Remember that. Now I’m not saying that you need to buy ads to get people to your blog. You already know that you can drive traffic by using proper SEO and Pinterest of course. 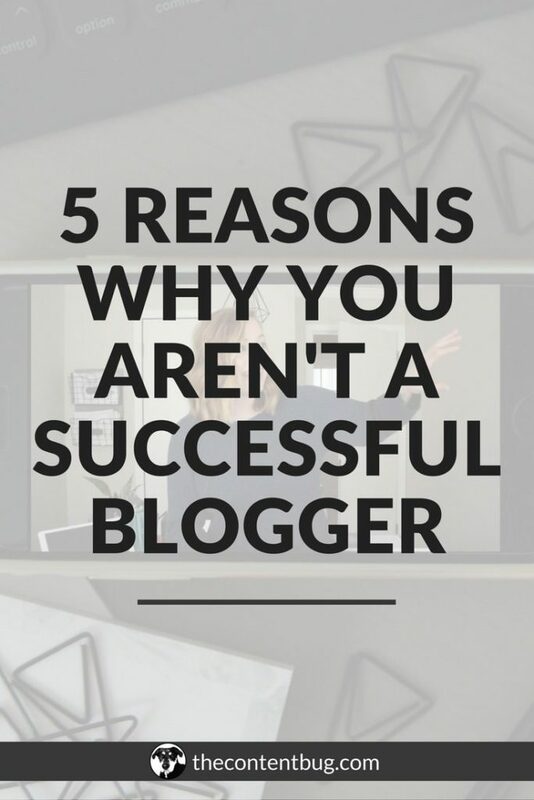 But what I am saying is that if you want to take your blogging business seriously, then you should consider investing in ads to get your name out there to people who haven’t found you yet. I’ve used Facebook, Instagram, and Pinterest ads to help reach my audience. Not because I didn’t trust my SEO. But because I wanted to reach the people that still hadn’t found me. Those people who probably would find me in a couple months or maybe a year. But those people who hadn’t found me quite yet. Basically, I use ads to speed up the process. To take the future into my own hands and reach the people who don’t even know they need me yet. That’s why I use ads. And I recommend that you start to use them as well. They can help to grow your email list, affiliate income, and product sales. It just depends on what you are promoting! When I was getting started with my blog, I would read that some bloggers invested almost 100% of their profits back into their blogs. For me, that sounded crazy. At the time I just wanted to earn some extra cash. I didn’t want to put it back into my blog. 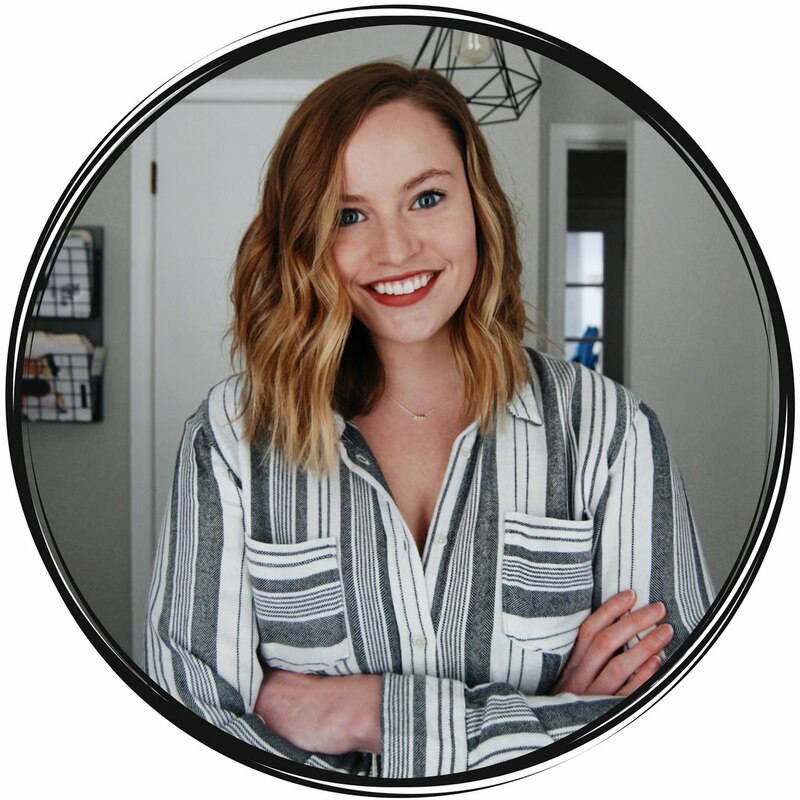 But as I started to grow and learn, I realized that you do really need to invest in your blog if you want to transform it into a full-time business. I’ve invested a couple thousand dollars into my blog and I’ve been blogging for less than 2 years. It might sound insane, but things add up! I’ve invested in my website through my hosting service and domain purchases. I’ve spent money on my social media and email management like Tailwind and ConvertKit. I’ve paid monthly for my course platform, Teachable. And I can’t forget that I’ve bought some amazing pieces of tech to help my business, like my iMac! But the most important chunk of money that I’ve invested in my business is the money that I’ve invested in myself. I’ve taken 2 online courses, both of which helped me to grow my blog and my income faster than I even thought possible. Every month I look for new ways that I can not only invest in my business but also in myself. Because I honestly believe that the saying “you have to have money to make money” is partially true. If you want to grow your blog into a business faster than everyone else, then you have to be willing to invest where necessary! 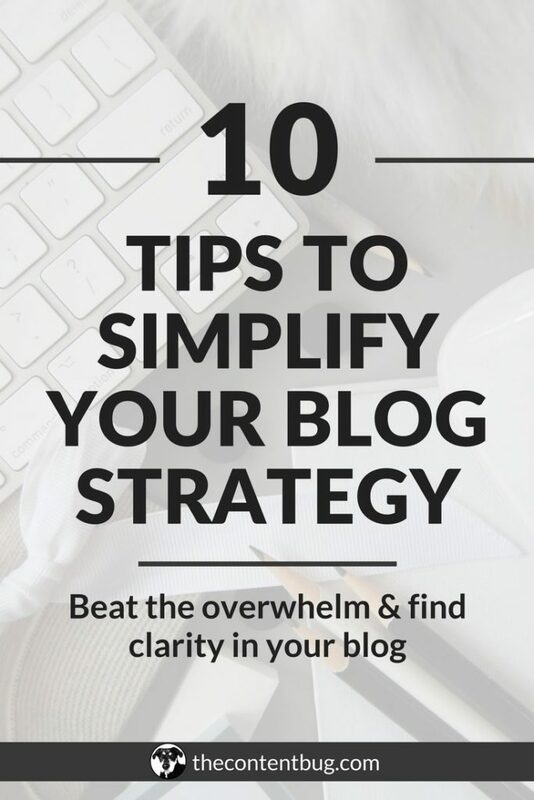 Now if you really want to take the next step to transform your blog into a full-time business, you aren’t going to find the answer in any blog post on the internet. You’ll continue to spin your wheels reading the latest tips and tricks. But in the end, you’ll be no better off than where you started. 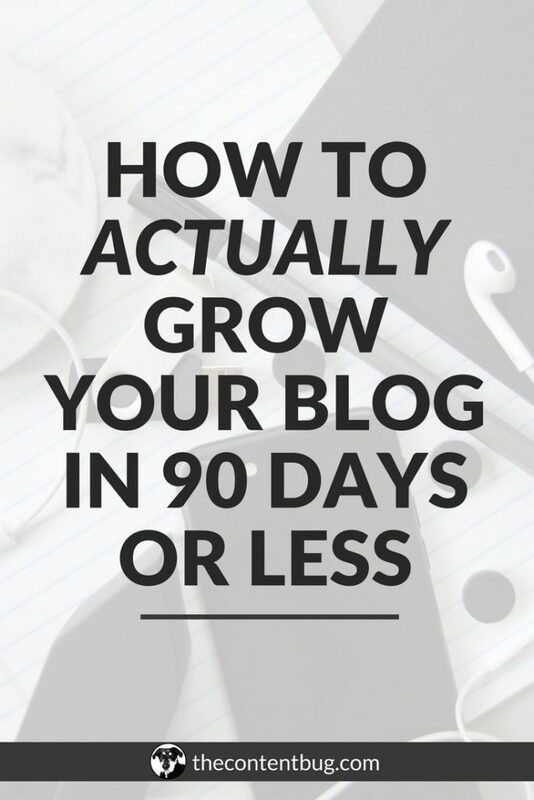 But if you are willing to invest in yourself and your blog right now to grow you blog in 90 days or less, then you’ll want to check out my Blog Biz Bundle. I created this mini-course for people just like you! For those dreamers and doers who want to hustle harder than ever before to make their dreams come true. So I encourage you to check it out. And if you aren’t sure if this mini-course is right for you, send me an email to thecontentbug@gmail.com with your questions. And I’ll help you make the right decision for your blog biz. WHAT DID WE COVER AGAIN?! It’s about that time where I set your free. Invest in yourself and your blog. 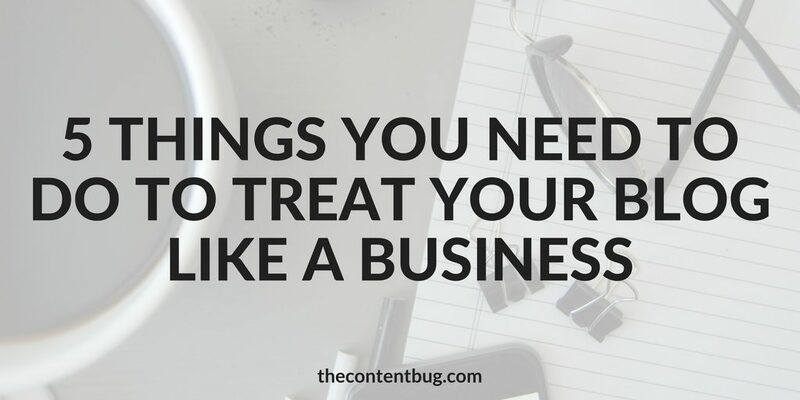 Do you have any other recommendations on what other bloggers can do to start treating their blog’s like a real business? Help other members of the TCB community out by commenting below! And I’ll see you back here for another blog post soon!